A ‘Devil Take the Hindmost’ or Eliminator, to use it’s modern label, provided an exciting climax to an evening of riding a flat oval track at Saint Thomas a Beckett College, Sandal for the Calder Clarion Go-Riders. The race was held after they’d been honing their skills at taking corners quickly and safely, following the racing line, through and off and drafting behind other riders. At the start of the race, Louis Audian and Daniel Price were away off the front in the early laps and had no need to worry about being eliminated as the bunch followed almost half a lap behind. As the laps progressed and riders began to be eliminated, George Hudson, Isabella Williams and Megan Hoyle began to inject some pace at the front and the gap to the two breakaways began to close. A surge instigated by Oliver Williams swallowed up the break and the bunch was together, but the ones who had been working hard began to pay as Harry Hudson took control and increased the pace, turning the screw until the event was down to the last three riders. Robyn Lindop found herself at the back and tried to come through between Harry and Jack Pickard, but they closed the gap leaving Robyn with an impossible task of coming round the outside. Harry’s strong riding marked him out as favourite for the win, but Jack using all the skills the Calder Go-Riders have been practising, took the racing line before the final bend and hung on for a great win. 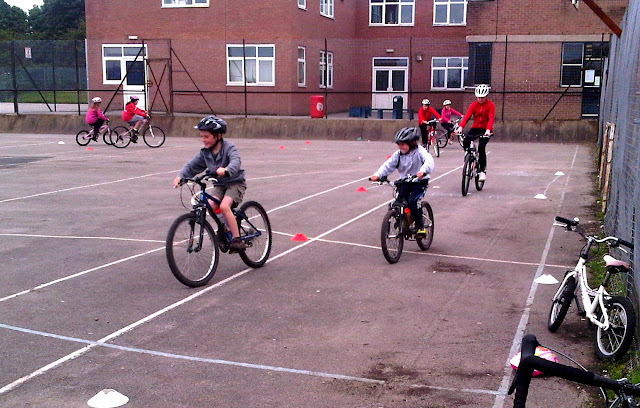 All the riders displayed excellent skills riding closely together in a competition in the wet under the floodlights.